San Francisco has a rich history of bike racing, and Golden Gate Park played an important role in supporting the endeavors of both leisure riders and competitive events. During the early 20th century, bicycle racing was the ‘it’ thing to do – before motorcycles and auto racing started to gain followers. In the western section of the park, the Golden Gate Park Stadium had a velodrome constructed in 1906, which later became known as Polo Field. Before and after the Second World War, the best cyclists in the region would come to Golden Gate Park – it was known as the hot spot in all of the West Coast. From the 1900s to the 1950s, racing bikes had only one gear, lacked a freewheel, and possessed no brakes. 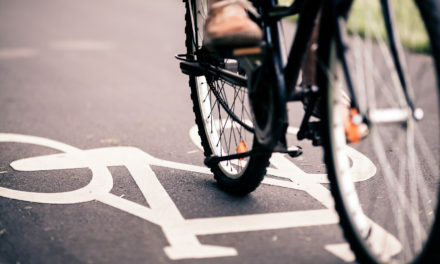 This meant that the accelerating and decelerating of the bikes came from the strength of the cyclist. Today, cyclists still visit Polo Field in Golden Gate Park, but they must share the space with many other activities. While Polo Field is not as large as Kezar, runners, joggers and walkers often visit to enjoy a nice workout or quick run. Polo Field is still a haven for bike riders in San Francisco, as they come to cycle around the track. The width of the track can accommodate about four cyclists at the same time. The smoothness of the track is a favorite of San Francisco riders, which also provides easy access to other parts of Golden Gate Park. Some people praise the track for its option to ride with a higher level of wind resistance. Keep in mind that the track during the autumn season (especially on the weekends) swells with the crowds and lines of kids that come for Little League soccer games. This makes it an unpleasant time to enjoy Polo Field as a cyclist. The increase of parents, children, coaches and overall activity can place a damper on your outing, as well as cause a hazard. In the past, Polo Field hosted local events, such as music concerts including the likes of Pearl Jam and Neil Young. Nowadays, it plays a significant role in the Outside Lands Festival held in August, which greets plenty of party-goers who come to hear music, see art, sample local foods, drink beer, and dance. In 2012, the Lands End Stage was located at Polo Field, alongside live painting demonstrations and other excitement such as the restaurant tents set up along the field. Local vendors offered a host of edibles, such as Philadelphia Cheesesteaks, fried noodles, smoked beef brisket, BBQ pulled pork sandwiches, carnitas, and beer. 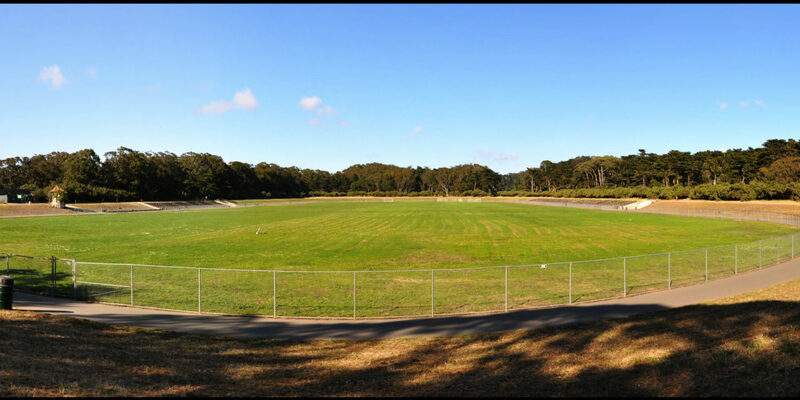 Polo Field is located on Middle Drive West at Metson Road, and is sometimes a tricky place to locate in Golden Gate Park. There are no signs that conveniently lead the way to the field and track. When finding a parking spot during your visit to Polo Field, avoid places with grass or foliage, or run the risk of getting a hefty parking ticket.